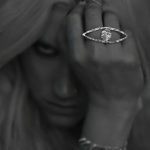 Is the All-Seeing Eye an ILLUMINATI SYMBOL? 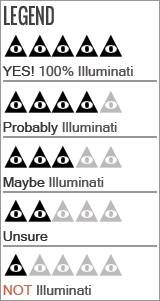 THE pre-eminent symbol of the Illuminati is the all-seeing eye floating atop a pyramid. 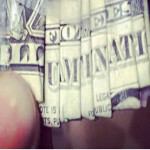 This Illuminati symbol can be found on the American one dollar bill, the world’s most widely circulated note, along with the words Novos Ordo Seclorum – A new order for the ages. A common tenant among conspiracy theorists is that the symbols are hidden in plain sight. 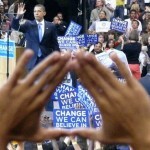 To some conspiracy theorists, the all-seeing eye represents the eye of Lucifer, ever watchful over the sheeple. The eye depicted is usually a left eye as in the case of the eye of Horus. 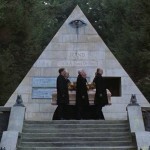 The eye is floating over an unfinished pyramid representing that the Illuminati’s work is never complete. The Roman numerals MDCCLXXVI (1776) at the base of the pyramid represents the founding of the Bavarian Illuminati. However, the Declaration of Independence which officially gave birth to the United States of America consisting of 13 sovereign states was signed on July 4th, 1776. Officially, the eye represents God and His many interventions in favor of the American people. The pyramid signifies strength and duration. It is unfinished because America continues to struggles towards perfection. 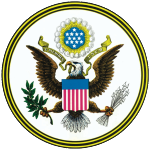 The task of designing the Great Seal was first assigned to a committee made up of Freemason Benjamin Franklin, John Adams (attended the Nine Sisters Masonic Lodge in Paris)and Thomas Jefferson (a sympathizer of Freemasonry and the Bavarian Illuminati). This committee immediately incorporated the All-Seeing Eye into the design of the Seal, which carried thought the second and third committee where the eye was added to a 13-step pyramid. The final seal was finally adopted by Congress in 1782. Researcher Texas Marrs writes in his Codex Magica that Rothschild agent Haym Salomon secretly assisted the Great Seal committees to fulfill the aims of the Illuminati. 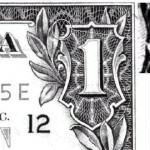 According to Marrs, Rothschild got his wish and got the all-seeing eye on a pyramid symbol on the Great Seals of the United States. 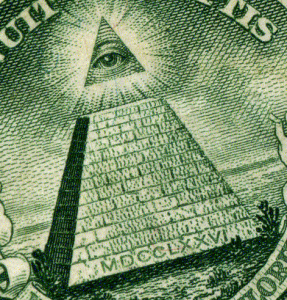 In 1935, 32rd degree Freemason President Franklin Roosevelt seeing the All-Seeing Eye as Masonic representation of the Great Architect of the Universe suggested adding the All-Seeing Eye and the pyramid to the dollar bill. The connection between the Illuminati and the All-Seeing Eye logo was first made in 1955 in Dr. Emanuel Josephson’s Roosevelt’s Communist Manifesto in which he detailed the links between communism and the Illuminati. Josephson describes an Illuminati conspiracy and its agent FDR completing the goals first set out by Adam Weishaupt and later Clinton Roosevelt in his The Science of Government Founded on Natural Law. Epherson claims that Adam Weishaupt adopted the exact same design as the Great Seal as his insignia for his Order of the Illuminati. The above insignia was adapted by Weishaupt at the time he founded the Order, on May 1, 1776. It is that event that is memorialized by the MDCCLXXVI at the base of the pyramid, and not the date of the signing of the Declaration of Independence, as the uninformed have supposed. 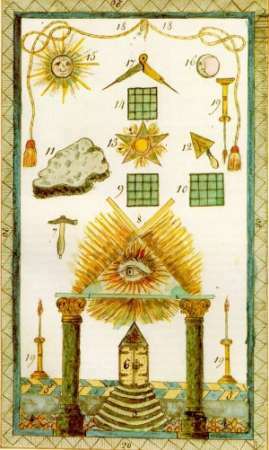 The Freemasons in France and Germany had incorporated the All-Seeing Eye into their symbolism by 1770 as can be seen from these Masonic trestleboards from the period. 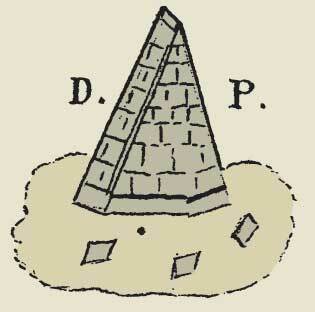 The Bavarian Illuminati did use the pyramid in its ritual as depicted in this cartoon representation of a Minerval Degree Initiation. Is the word “Mason” spelled out on the Great Seal of the United States? 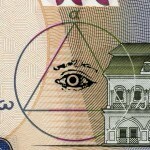 See more examples of All-Seeing-Eyes and Pyramids on this site.